Paula Jane Radcliffe, MBE (born 17 December 1973) is a British long-distance runner. She is a three-time winner of the London Marathon (2002, 2003, 2005), three-time New York Marathon champion (2004, 2007, 2008), and 2002 Chicago Marathon winner. She has held the Women’s World Record time of 2:15:25 for the marathon since 2003. Alexandra Magalhães Zeiner is a researcher with a Marine Biology degree from Memorial University of Newfoundland, Canada. She has worked on various environmental projects in Austria, Brazil, Croatia, The Netherlands and Canada, mostly related to marine mammals and environmental issues. As a writer, she found the medium of story telling the most appropriate to gain the interest and attention of children and young people. Émilie Fer, born on February 17, 1983, in Saint-Maurice, is a French sportswoman practicing kayak slalom. She became an Olympic champion on August 2, 2012 in London and a World Champion on September 15, 2013 in Prague. An innate sense of design and composition, emphasising light and colour, is utilised to create a fine art original BAS oil painting. Inspiration is gained through extensive adventures in wilderness areas around the globe, the artist then captures the wonder and beauty of creation on canvas. 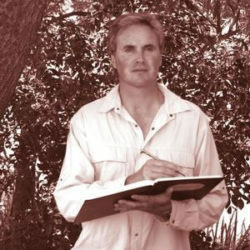 BAS’ paintings are included in three books entitled “Best of Wildlife Art”, published in the USA. The Art of BAS has been privileged to benefit Charitable Foundations and BAS hopes that his fine art can be used to further promote environmental concerns. It is the artists’ pleasure to share his unique vision with others through The Art of BAS. His style of contemporary realism combines the truth of nature with his own personal vision as it accentuates colour, light and abstract form. BAS strives to be an originator rather than an imitator – to say something new to the observer – Wildlife Art Magazine, USA.